These schematics and PCB layouts carry no guarantee or warranty. The schematics and layouts are known to work, but you may have to do some debugging or component switching to get them to work properly. 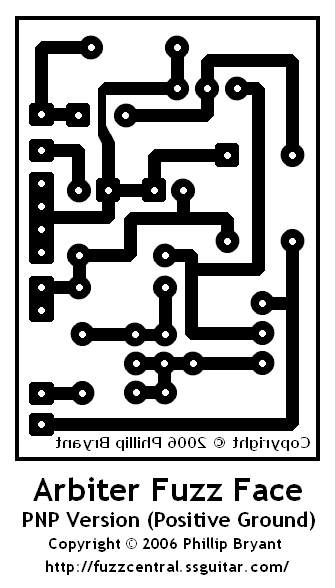 Be sure to check the PCB and Layouts against the Schematics and vice versa to make sure there aren't any errors. If you find an error be sure to email me and let me know so I can get it corrected! 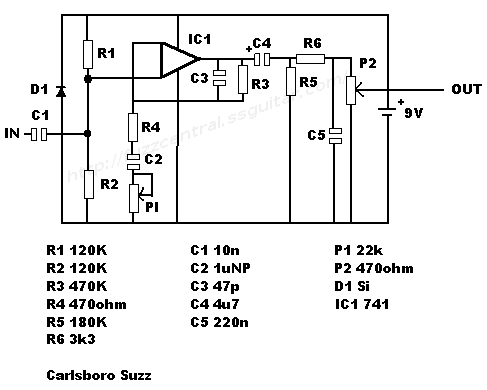 These schematics are not to be used on any site other than Fuzz Central without written permission. 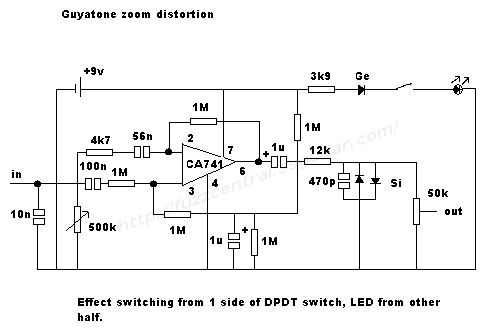 Do not use my circuit board layouts, or Bill Lawrence's circuit board layouts, for your personal profit. These layouts are copyrighted intellectual property, and using them commercially without persmission from either myself or Bill Lawrence is illegal. If you would like to use them for profit, then a licensing fee can be worked out.